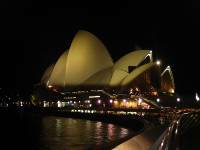 I arrived in Sydney on 26/8/10 and have been here just over a week already! Unfortunately for me, my first week here has not been the best of experiences as firstly I arrived at my hostel in Kings Cross (which i've been told is not the best of places anyway!) to find it not the most accommodating of places to put it mildly, so luckily i called upon a friend who lives out here and within a few hours was at her flat in a suburb called Randwick which is about a 20 min bus ride out of the city. It is lucky i did as the next day i became severely ill with Gastroenteritis and for the last week i have been bed ridden apart from constant trips to the bathroom! last wednesday night i was still so ill that Jo took me to the hospital, where after a 2 hour wait they gave me a drug called Maxalon for sickness and vomiting...to which i had an adverse reaction (which i was told is rare but does happen!) and i went into a state of complete panic, my body was uncontrollably shaking from head to toe and i was hyperventillating, it took 3 nurses to try and calm me down. I was given another drug to counteract this and some valium, followed by 2 hours on an ivf drip. This wasnt a pleasant experience i might add and I am still recovering. Feeling much better but just quite weak and tired very easily. 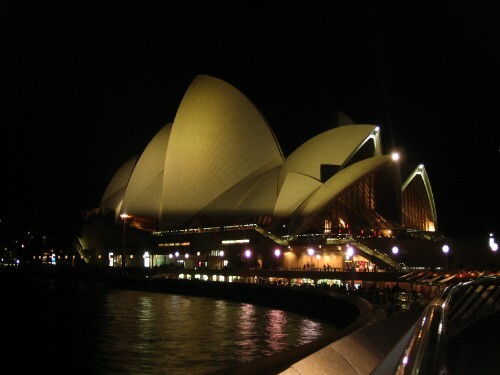 Needless to say, my adventure has not yet really begun down under and it was only yesterday I first go to see the City of Sydney, but it was brief. I intent to go back next week once i'm feeling much better and explore properly and do all the touristy things, so i will be posting some photos very soon!